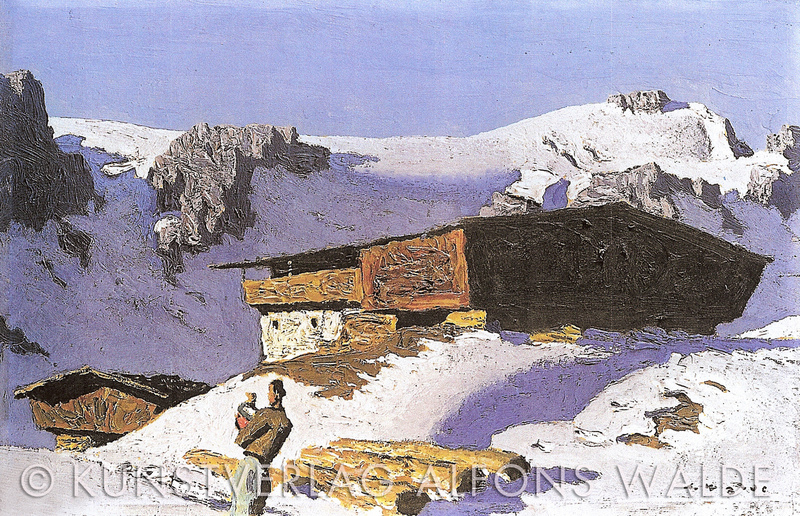 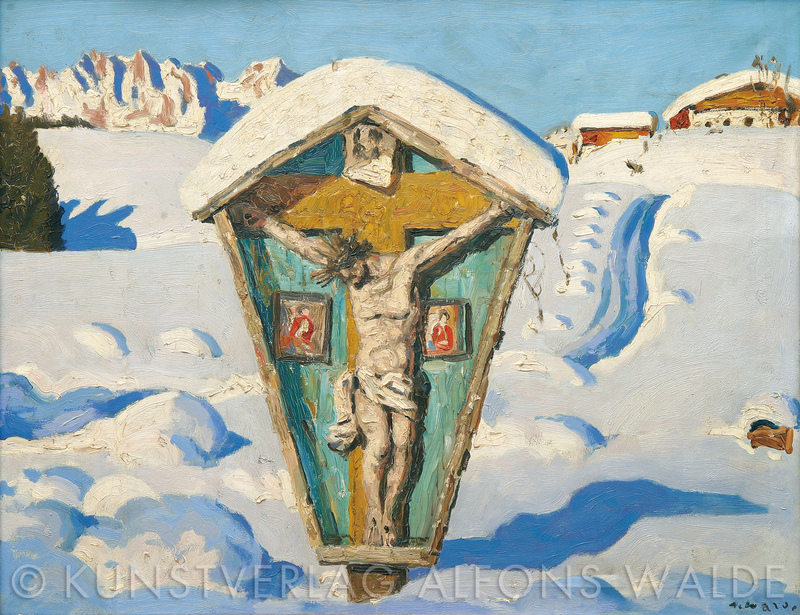 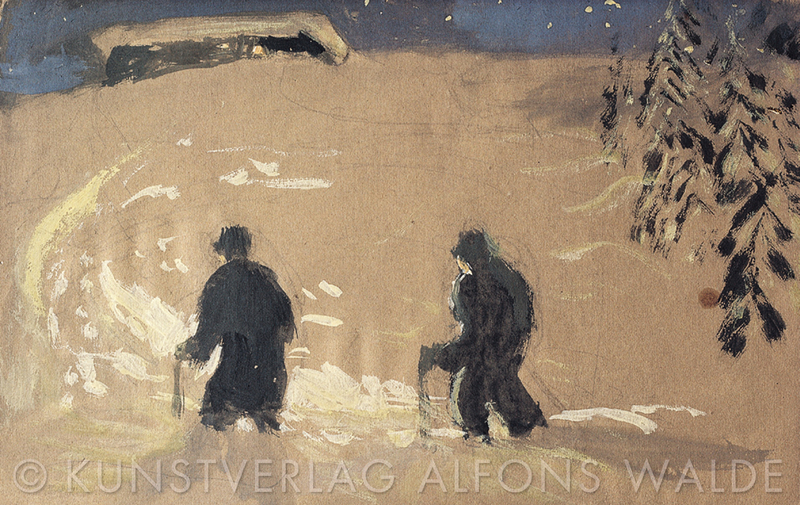 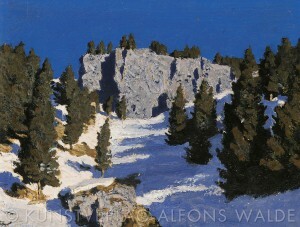 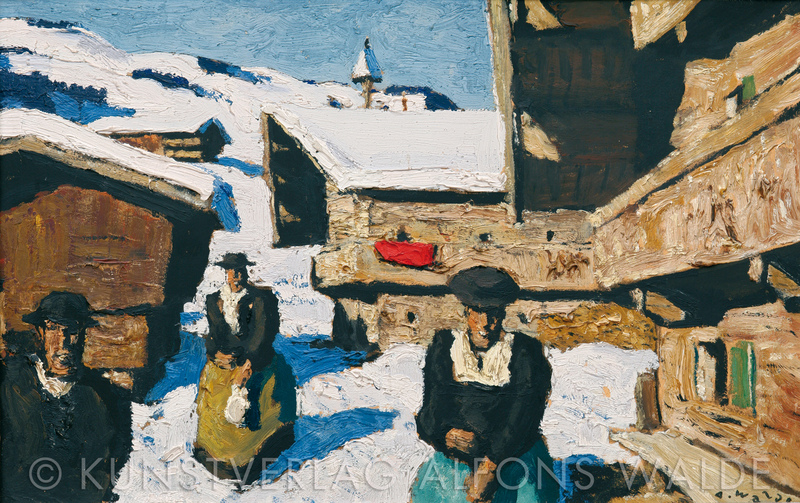 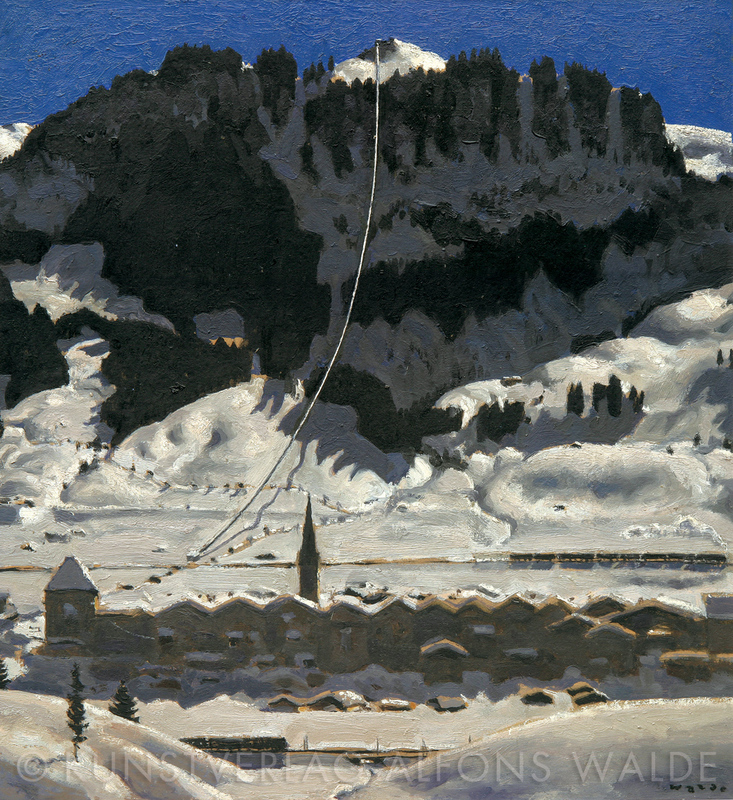 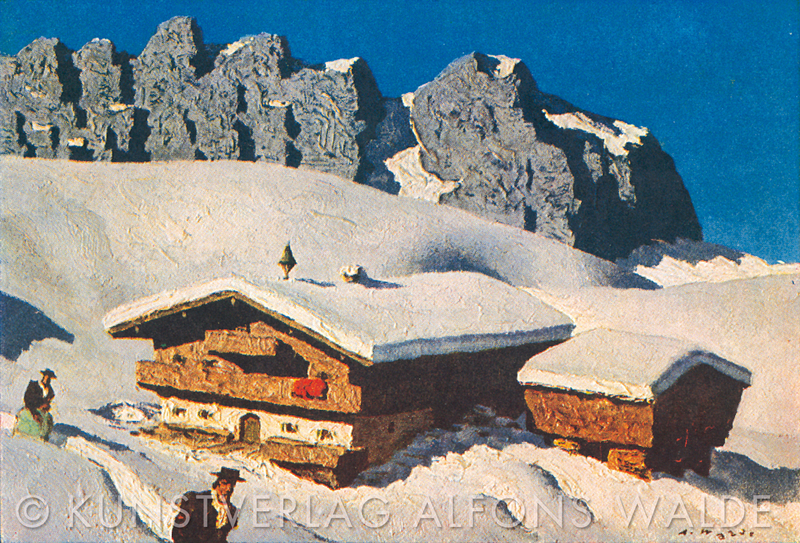 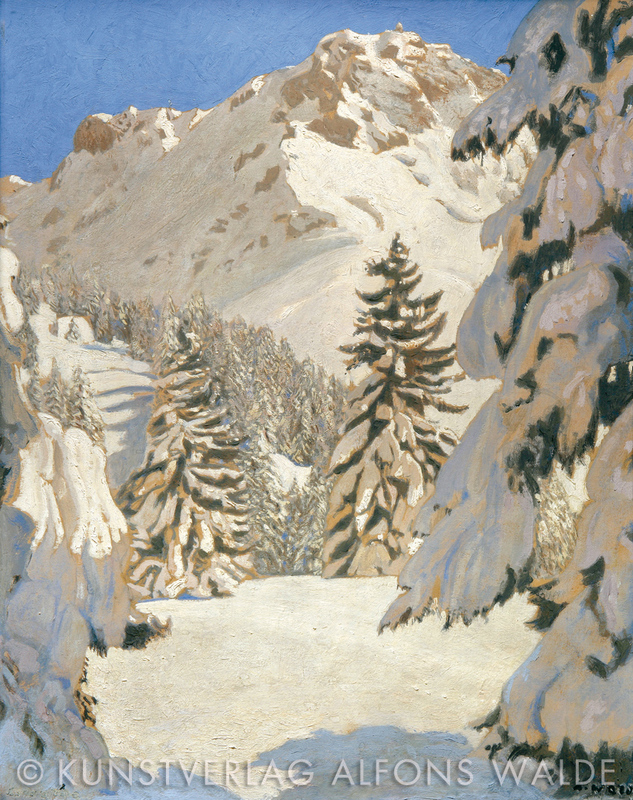 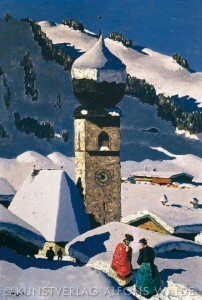 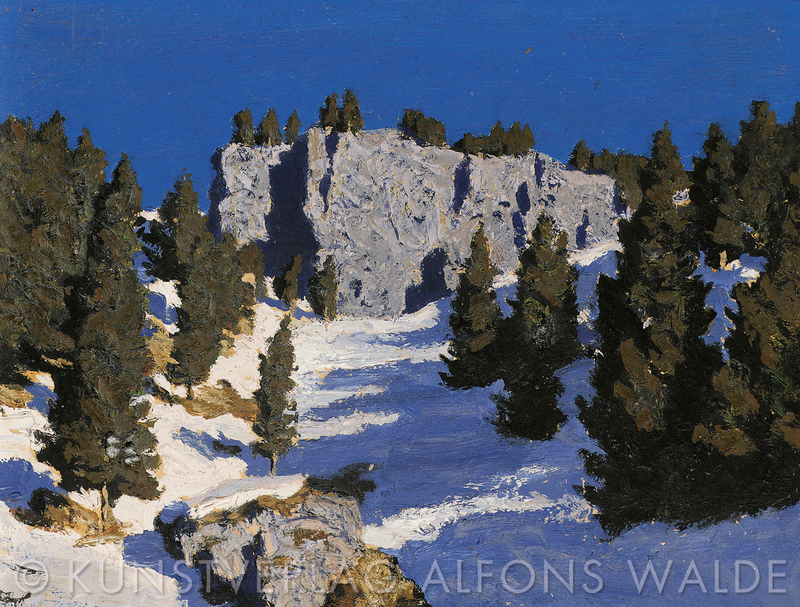 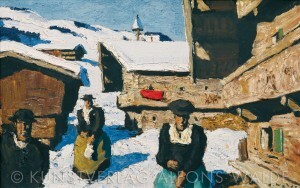 Undoubtedly, Walde’s most widely recognized work consists of his winter landscapes. 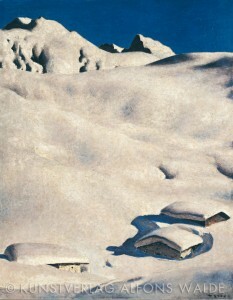 Many of them show evidence of the full power of his expressive side, as it emerged in the aftermath of WWI, while they also reveal a component of “heaviness” that underlies the artist’s perception of natural forms. 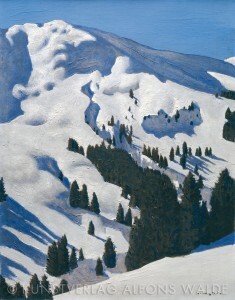 The distinctive manner in which he depicted the wide, smooth hills around Kitzbühel, with the Wilder Kaiser (a mountain in Kitzbühel) juxtaposed in the background, will forever stand as a tour de force in landscape painting. Walde painted his massive wintery motifs by forming primordial, amorphous and “plasticized” surfaces and structural elements, only to fine-tune them with an uncanny sense of mood and balance. His soft, pastose, almost dry style of painting permitted him to create ever changing nuances of interplaying light, as it literally vibrates across the natural forms he depicted. 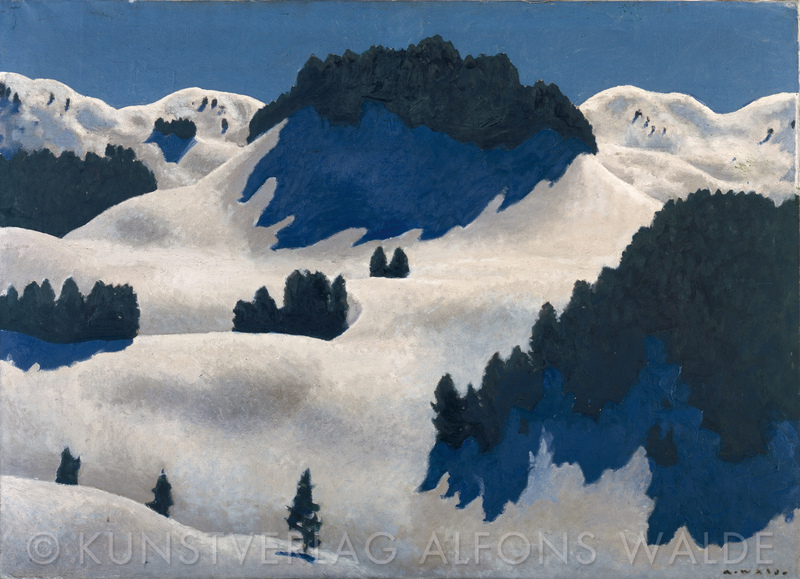 The stunning blue sky in its full density is also an indispensable element of his landscapes, where the mountains rarely reach the top of the frame in his effort to provide the ultimate amount of contrast. 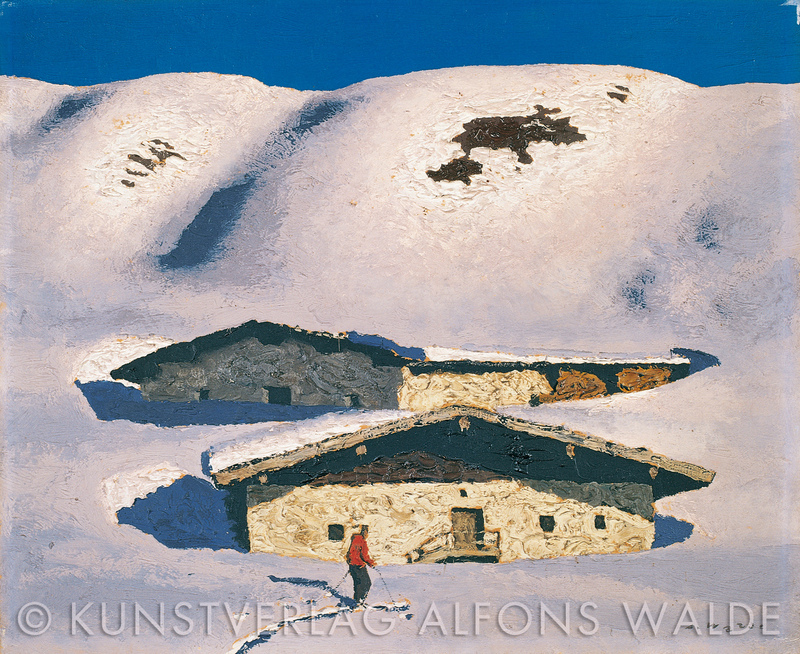 In virtually all examples of Walde’s most characteristic work, a very expressive message is undeniably evident. 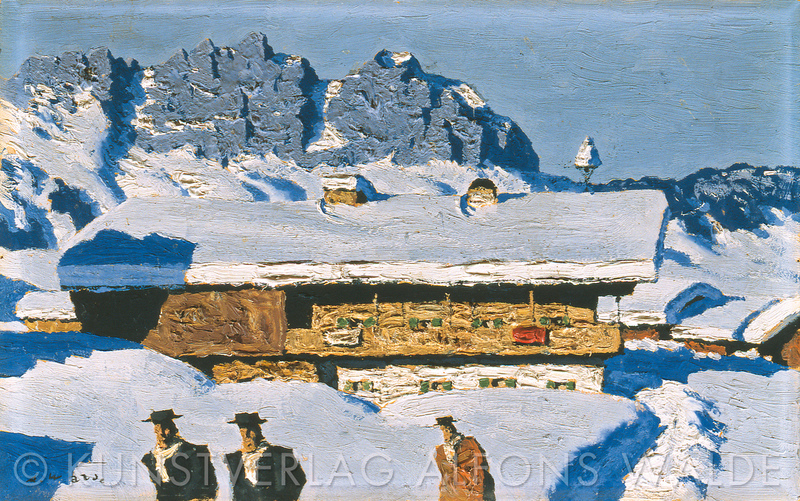 In his paintings Winterlandschaft (Winter Landscape), Steinbergkogel and Aufstieg (Ascent) he used a very reduced style of composition. 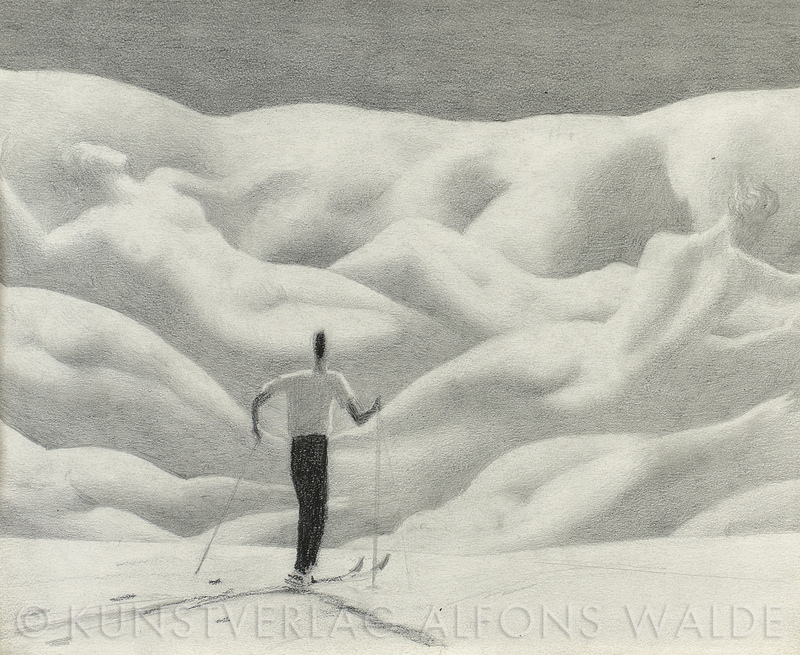 Relying on precise forms, he effectively created a very natural, realistic interpretation. 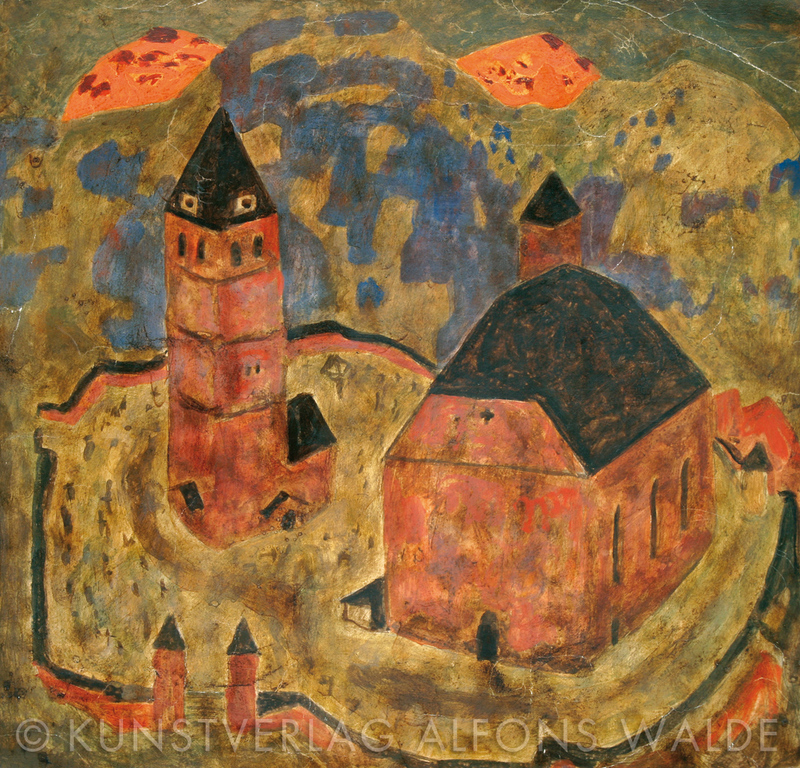 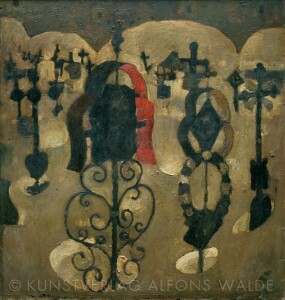 In terms of style, these works (created between 1924 and 1926) are classified as belonging to the movement known as Die Neue Deutsche Sachlichkeit (in English, objective realism).